Gallagher has said there was no breach of the law and the loan he received from one of his own companies was quickly repaid. 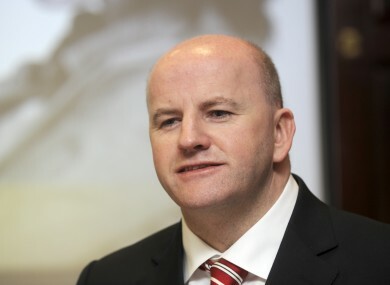 SEÁN GALLAGHER HAS defended himself against suggestions he received a large loan in apparent breach of company law, saying that the transfer was “an accounting mistake”. The Independent presidential candidate acknowledged that €82,000 had been paid to him by one of his companies in 2009. However, he said that no breach of company law had taken place as the money had been repaid to another account as soon as the error was spotted. He said the error had been brought to his attention by his accountants in 2010. Gallagher was responding to a report from Colm Keena in the Irish Times that he received an interest-free loan from Beach House Training and Consulting Ltd. The loan would have been in breach of the law as it amounted to greater than 10 per cent of the company’s assets. The candidate also defended himself against allegations that he had personally invited donors to a 2008 Fianna Fáil fundraiser for then-Taoiseach Brian Cowen, at which guests gave suggested donations of up to €5,000 each. He added that he had given no donation to the party at the event. Email “Seán Gallagher: €80,000 loan was 'an accounting mistake'”. Feedback on “Seán Gallagher: €80,000 loan was 'an accounting mistake'”.